This is the second bike light we have gotten for our two youngest girls. I had a light for my bike growing up but not nearly as nice as theirs. We wanted our daughters to be safe when they are driving their bikes home at night. Now they can see as well as other motorists being able to see them. We live rurally so I want them to be able to see the road and any animals they might come across like bob cats, bears, deer, snakes, etc. They are usually home before dark but sometimes they get playing and run late getting home. I want to make sure they are safe. Each light has three different light settings. The red light comes with 2 button cell batteries but you will need to put in 3 AAA batteries into the black light. My girls love how they can take the flashlight out to use for other things like looking for frogs, slugs, etc. You can view our whole video below. 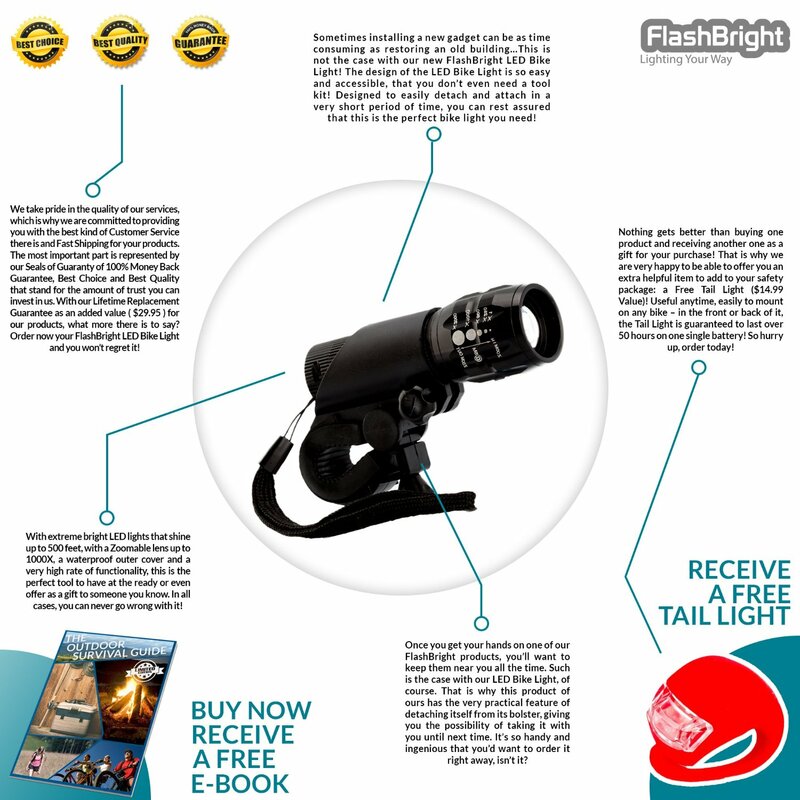 You can purchase this FlashBright LED Bike Light on Amazon. 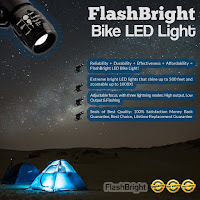 THE BEST LED BIKE LIGHT FOR YOU PERIOD! THE EXTREMELY BRIGHT LED LIGHTS ILLUMINATE YOUR PATH AND IMPROVE YOUR SAFETY BY INCREASING YOUR VISIBILITY TO ANY ONCOMING CARS. OUR FREE BONUS TAIL LIGHT HAS YOUR BACK COVERED AS WELL! The FlashBright LED Bike Light Shine up to 500 Feet, Has a Zoomable Lens up to 1000x and Comes With a Waterproof Outer Cover Making this Bike Light the Perfect Tool to Have Rain or Shine. QUICK INSTALL IN A FLASH - NO TOOLS REQUIRED - THEFT PROOF FEATURE INCLUDED! Designed to Easily Attach and Detach on Any Bike in Seconds Without Any Tools using Our Quick Release Technology. It Can Even be Used as a FlashLight! It's so Handy and Ingenious, This is the Perfect Bike Light You can Buy Anywhere! MULTIPLE POWER SETTINGS FOR ANY SITUATION DAY OR NIGHT - RAIN OR SHINE! Three Power Settings, HIGH, LOW & FLASHING Make this TOOL the Most Versatile Bike Light on the Market. Use the Flashing Mode in Daylight to Ensure You Will Be Seen by Any Vehicles in Your Path. NEVER ride blind or without being seen again! Instead of Carrying Flashlight, Quickly Unmount Your Light for Use Anywhere, Anytime, In or Out of the House. Great for Camping, Hiking, Fishing, Walking, Running and Most Importantly Biking!